Storing a large quantity of fruits and vegetables in your refrigerator does not only make them lose their freshness but affects their mineral content as well. This results in making an eatable less healthy. However, you can always take charge and start you own kitchen garden. This will not only be completely healthy but, will save you some extra cash as well. Owning a kailyard is always a wiser choice than buying frozen or canned fruit and vegetable from the super store. With just a few tips and techniques, you can now create your own kitchen garden in your backyard or at any available garden space in your house. Choose a suitable place for your kailyard. It can as big or as small as you want so size is not an issue but, try keeping it small to maintain your interest. Whatever place you choose you must remember that it should get a lot of sunlight. Avoid shaded areas around trees and walls. Having a water source around will add to the ease factor if you are not very fond of using water containers. Be The Land’s Lady/Lord It is now time to harvest the area with nutrients and water to prepare it for a kitchen garden. You can start digging the upper layer of the soil till about 10 centimetres. This will help encourage the earthworms to show some kind of activity on the land. 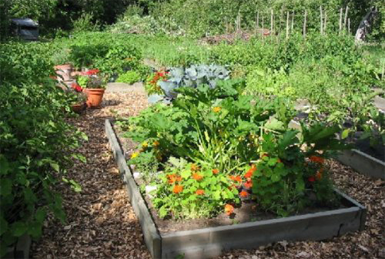 Now choose what you prefer: square beds or well managed rows? Whatever you choose, do not forget to separate them with aligned bricks or paths made of grass. Choose what vegetables or fruits you wish to grow. You can choose easy growing options such as tomatoes, courgettes or lettuce to avoid the tricky ones that require a lot more effort. If you have a large space in your kailyard, you can consider growing corn as it requires a lot of space. Mediterranean types of vine plants are a good choice too. All they require is plenty of sun and free draining soil. The best options to grow include: beet, radish, pepper, onion, carrot, peas and spinach. With less time and money being spent, fruits like berries can be grown in your kitchen garden as well. Few of the berries include: blackberries, goji berries, raspberries, honeyberries, strawberries and blueberries. 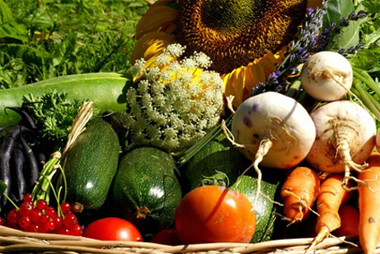 For best guided information, look online for the best possibilities of vegetables and fruits that can be grown in your area or your particular type of soil. With the help provided above, all you need to do is to start planting and keeping a good watch on your fruits and vegetables!